Flag Day is June 14th and there are so many ways we can show our colors in honor of that day. 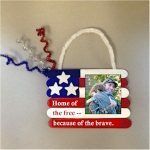 Kids can make this Flag Day Photo Frame and insert a family picture to give to a member of the armed services or veteran to show their appreciation. You can also use a Dollar Store wooden frame for this project. Don’t be afraid to adapt crafts to what you have on hand. Print out the frame pattern for your cardboard. Then put your label paper or white paper in the printer and print the frame on it. Cut out your cardboard frame. If your cardboard is too heavy have an adult cut it out with a box cutter or exacto knife. 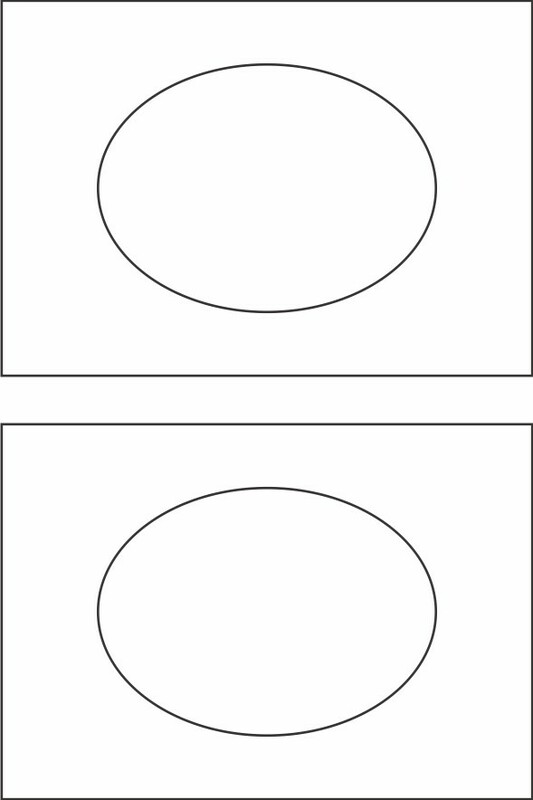 Cut out the white label or white paper and attach it to the cardboard frame. Lay strips of blue vinyl tape in the upper left corner of the frame. Fill the rest of the frame with red tape, alternating with white spaces for stripes. 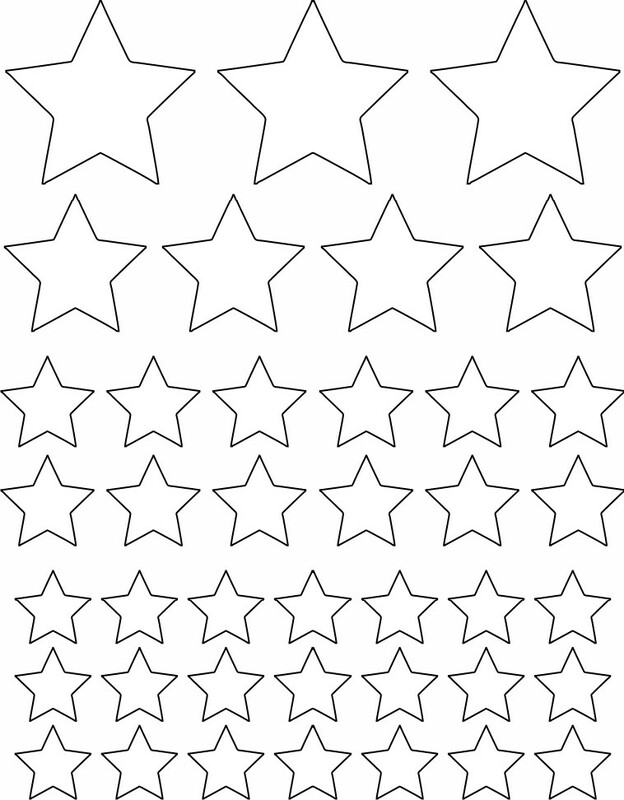 Affix your purchased stars or print out the small stars with our pattern on white paper or label paper and cut out. You may want to reduce the size of the stars or use less of them in the smallest size provided. Tape a favorite photo to the back of the frame and cover with a piece of white label paper if you want to finish off the back. 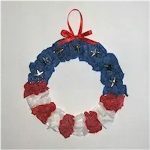 Now your project is finish so give the picture to a favorite family friend or veteran to make Flag Day memorable.